I love DC. However – there are some challenges to living in the Nation’s Capital and honestly, since January 2017 living in DC has been a bit more difficult. 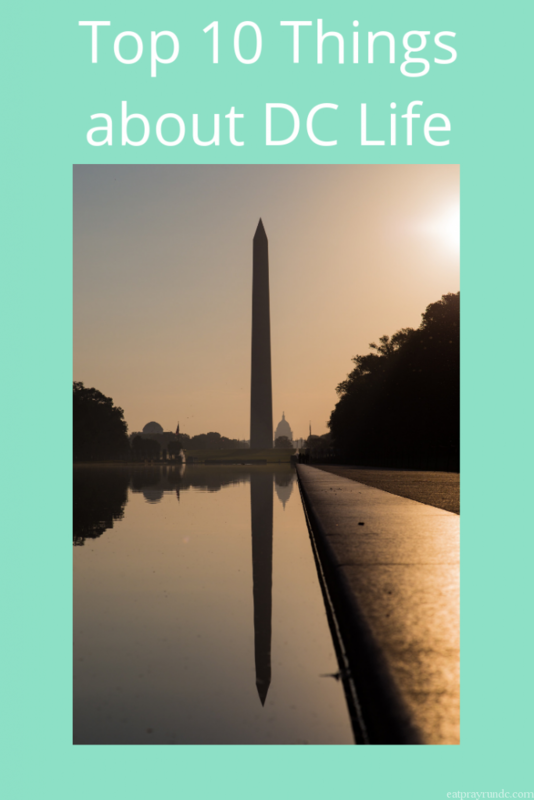 BUT I like to focus on the positive and there are a lot of wonderful things about DC Life. Today I’m sharing ten of then with you! The views. DC is a gorgeous city and I am reminded of that often when I am walking around. Not only do we have historic monuments (see below), but DC is also a city full of gorgeous neighborhoods with colorful row houses (I happen to live in one) that just make me smile. It’s easy on the eyes. The history. Duh. This one is easy. With so many historic buildings and monuments, you can learn a lot just by spending some time wandering the city. The (free) museums. The Smithsonian is a true gift. From the African American Museum of History and Culture to the the Museum of American History, there is no shortage of fantastic museums where you can spend your time. The culture. DC is a diverse melting pot of cultures and languages and backgrounds and for that I am grateful. The people. DC attracts ambitious, thoughtful residents and they are the lifeblood of this city. Public transportation! There are so many ways to get around DC without driving a car! 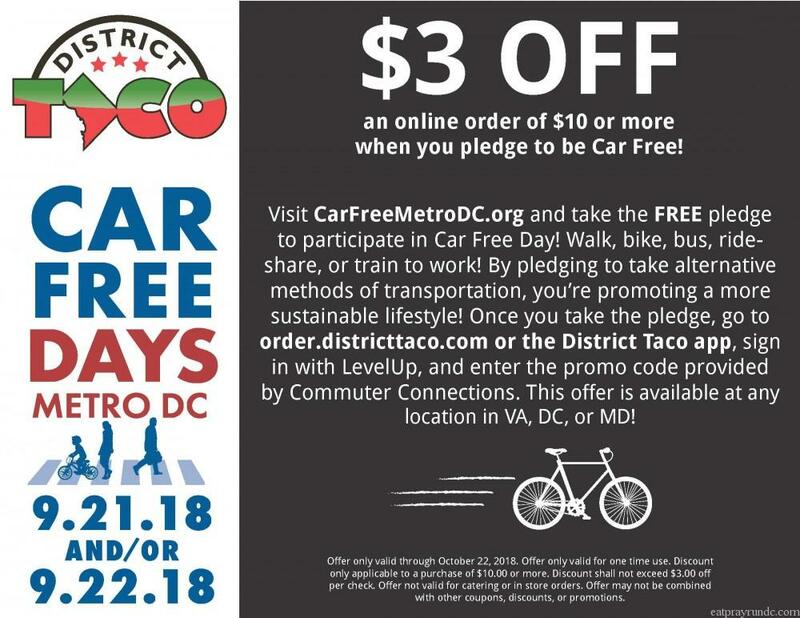 One final reminder that Friday, September 21 and / or Saturday, September 22 are Car Free Days in DC! You can register here and see below to get a discount at one of my favorite fast causal restaurants, District Taco for pledging to be car free! Whether you take Metro, or walk or run or bike – it’s easy to do! PS – you can pledge even if you telework – that counts! The running community. Duh. I am a part of a number of different running communities and it is such a joy. I am grateful that DC is mostly a runner-friendly city although we could use more public water fountains! Proximity to other great cities. I am obsessed with the Amtrak. NYC is just a few quick hours north on the train and travel by train is so easy (another way to be car free, btw!). The food! So many yummy places to eat here and choices for all tastes and budgets. A new surprise favorite of mine is Fancy Radish – a delicious vegan restaurant in my neighborhood. This meat eater highly recommends it! This is a sponsored post but all thoughts are mine!